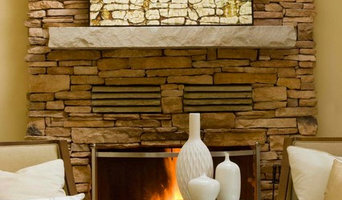 Charles has owned and operated Lazure Custom Wall Designs for over 25 years - a mural and decorative/ faux painting business, specializing in a unique European glazing finish called Lazure. Charles lectures, teaches fine art classes and offers Lazure workshops worldwide. Andrade’s art work makes use of the same translucent glazes of color that characterize his Lazure wall work. He became interested in landscape painting several years ago when he took a break from the large, fluid painting format to investigate the art of chalk pastel painting while living in France. In Paris, he discovered the unique pastels made by Henri Roche and used by the great French impressionist painters, Matisse and Bonnard among others. Charles Andrade paints in the colorist style that has evolved from his initial training in painting and art therapy, which he studied in England at Tobias School of Art & Therapy. With an in depth understanding of color, his artwork utilizes many washes of translucent color glaze that express the dynamic movement of light, color and darkness. Look Studio is a resource for designers and buyers who appreciate the many ways digital photography can be used in today’s interiors. Aspen Valley resident, Gayle Waterman began experimenting with her digital camera and macro lens to see if she could capture the qualities of Abstract Expressionism through photography. These abstract images challenge traditional photography and its place in the abstract art world. With an appreciation for primitive furniture and architecture, Gayle transforms the patina of time into abstract images suited for a modern home or commercial space. The use of color and texture on canvas shift the context of the original piece into an art form that inspires us to look deeply in life and find beauty beyond the surface—to know there is something greater than the obvious. Whether printed on fabric as a room divider or as a provocative collection of art in a specific color palette, the design opportunities are endless with images from Look Studio. 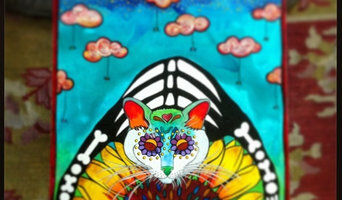 Custom pet portraits in a style that will bring vibrant, joyful color to your home. Fresh, bright, beautiful, passionate and filled with the warmth and sunshine of Mexico, Texas and the great Southwest. Typical design elements: bones, flowers, ferns, butterflies, spiders, "flower eyes" and starry skies. Bespoken Zen designs and artistically fabricates custom one off furniture pieces, architectural pieces, and tchotchkes. Art on a Whim is a family-run business founded in Breckenridge Colorado. We opened our Breckenridge gallery in December of 2007, expanded our space in November of 2011 and opened our Vail location in November of 2013. Our galleries were founded with the belief that beautiful art and culture should be accessible to everyone. We're rooted in the age-old American tradition of small, family-run businesses. We really like our economy so all of our art is handmade in America and most of it is created right here in Colorado. We focus on carrying work that is unique, uplifting and well executed. The art we show is original and contemporary. It is created by living, working, professional American artists. We prefer representational works that capture the beauty of the mountains we call home, as well as abstracts that push creativity to new heights. We only represent artists who have mastered their unique mediums, techniques and styles. Through this, they have earned well regarded national and international reputations. Our refined selection of the best artists found in Colorado sees that our collection represents our region and our love for the mountains. We love color and art that makes us smile. I am an artist and designer working in several mediums. My "Shellscapes" encaustics paintings have been garnering attention for their unique coastal-modern style. I am represented my galleries and boutiques and do direct sales and commisions for owners and interior designers. I am a trained Faux Finisher. 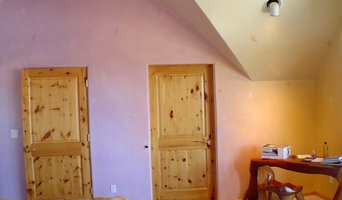 Experience: Painting & plastering on large canvas contemporary wall art, 10 yrs faux finishing with plasters and paints, Mentored under various professional artists, and trained in different schools 17 yrs of interior and exterior house painting including prep work, trained by two different journeyman painters. I travel all over the usa. for my customers. Paradise art glass is a working glass art studio owned by craftsman and designer Shannon Muse, with assistance from designer Ashley Muse and glass artist and steel sculptor Leo Johnson. Our philosophy is to design and build enduring glass art projects for individuals, public spaces and sacred spaces. Our skills embrace the traditional method of stained glass as well as contemporary and innovative uses of glass in sculpture. 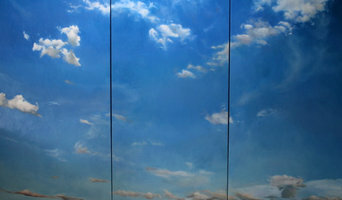 Our work includes public art pieces, architectural screens, sculpture, lighting and private commissions. Since it’s founding in 1995, Paradise Art Glass has completed numerous commissions throughout Colorado, and several large out of state commissions. American Painter SYBIL HILL has sold well-over 500 paintings in the past ten years, finding their way into Homes of prominent Collectors and Galleries throughout the world from such celebrities as Melanie Griffith, Katherine Hiegl and Gail King to American Corporations such as The Commerce Bank of Texas. American Flags, Horses, Buddha and Wildlife are recurring themes in Sybil’s work, as she paints each of them in a unique manner that emits emotion, motion and style. Her paintings consist of a “ collected collage” of found objects, vintage fabrics, books, newspaper articles, music sheets, and assorted geology maps. 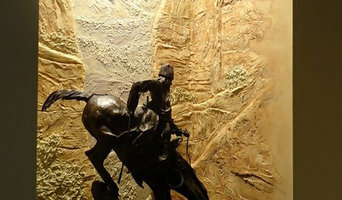 Design and Fabrication of Sculpture and Art , indoor and outdoor, custom made art for home placement, by commission and environmental public art services.